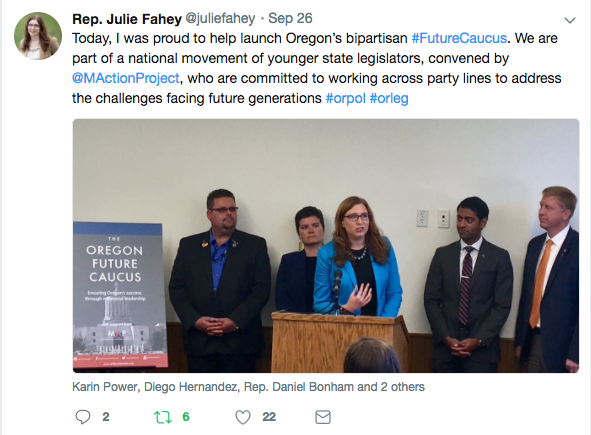 The Oregon future caucus is currently working to undertake issues of housing, early childhood education, continuing education credits, student loan debt, and the criminal justice system. “We have a responsibility to focus on long-term solutions to our state’s challenges, not just short-term fixes,” remarks Representative Julie Fahey. The issues facing this new caucus will be difficult but Senator Heard believes, “You need that fresh perspective to really see how the problems of today can have unique new solutions.” The legislators of this caucus are leading Oregon into the future as they plan to tackle the state’s most pressing and challenging issues together.